Withdrawal symptoms can be physically and emotionally distressing, and in some cases, even fatal. Withdrawal symptoms can be expected after discontinuing nearly any kind of drug, while some symptoms are specific to certain types of drugs. Specific withdrawal symptoms depend on the type of drug being abused. But a number of general physical and psychological symptoms will typically occur during withdrawal from alcohol or drugs. Flulike symptoms, such as fever, chills, nausea, vomiting, diarrhea, stomach cramps, muscle cramps, headaches, or perspiration. Irregular heart rate, decreased heart rate, or increased heart rate. Pressure or tightness in the chest. Nervousness, anxiety, and/or panic attacks. Mood swings and/or severe depression. Difficulties with concentration, memory, and problem-solving. Drugs that belong to the same class will have similar withdrawal profiles. Many times, the half-life of the drug (the amount of time that it takes the body to reduce the concentration of the drug in the system by half its original concentration) will determine the length and severity of the withdrawal process. The length of time the person took the drug and how much he or she typically used. People who have used drugs for longer periods of time and/or taken them in larger amounts will typically experience more severe and lengthier withdrawal symptoms. How the drug was used. Injecting, smoking, or snorting the drug will often result in more acute and complicated withdrawal syndromes than oral consumption of pills or liquids. The use of other drugs. Combining drugs with alcohol or other drugs such as narcotic pain medications, benzodiazepines, and stimulants will often to lead to more severe and complicated withdrawal symptoms. Individual differences in metabolism and psychological makeup. People may detoxify at different rates and be more or less sensitive to the physical or psychological effects of withdrawal. The form of withdrawal. Enrolling in a medically supervised withdrawal management program, which may include a protracted tapering course or administration of other treatment medications, can result in a lengthier period of withdrawal. But despite a lengthier withdrawal course, the unpleasant symptoms of withdrawal may be significantly reduced or even eliminated. Drug and alcohol withdrawal is a series of physical, psychological, and cognitive symptoms brought on by a decline of drugs and/or alcohol in the blood and tissues. It is often preceded by the development of tolerance and dependence to a drug. Tolerance is common in people who use drugs for any significant length of time. When the dose of a particular drug (or alcohol) becomes less effective with continued use of the substance, the person needs a higher dose to achieve the effects that were once achieved at lower doses. Tolerance alone is not necessarily a sign that a person has a substance use disorder (an addiction or substance abuse problem). However, tolerance will occur before the development of withdrawal and will likely lead to dependence if an unchecked increase in drug-taking behavior results from it. Withdrawal symptoms may indicate physical dependence. Chronic use or abuse of drugs and alcohol results in an individual’s physical system readjusting itself to account for the presence of the substance. The production and release of a number of different regulating substances, including hormones and neurotransmitters, is naturally adjusted based on the level of the drug present in the individual’s tissues. When a person stops using the drug or significantly decreases the dose, the levels of the drug in the system decline due to the normal detoxification process that occurs within the body – mostly through the liver.1,3 As the levels of the drug in the tissues decrease, the system is essentially thrown out of balance and a number of negative effects can occur. Withdrawal symptoms indicate that a person may have developed physical dependence to a substance. However, physical dependence does not necessarily mean the person has a substance use disorder. People who have substance use disorders have difficulty controlling drug use and experience a number of negative consequences from their use. 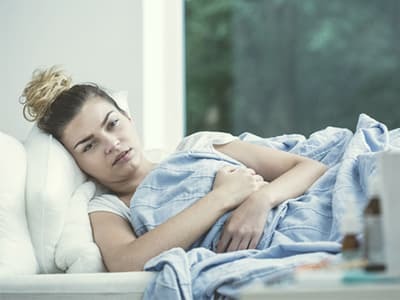 Going through withdrawal “cold turkey” can lead to a number of emotional challenges and medical complications, and can increase the risk of relapse and overdose. Detox programs that can include medical staff who can monitor and manage the symptoms of withdrawal. Inpatient rehab programs that allow for 24-hour supervision and a structured recovery program after detox that includes therapy, medication, and other therapeutic activities. Outpatient rehab programs for individuals who do not need isolation or 24-hour supervision. 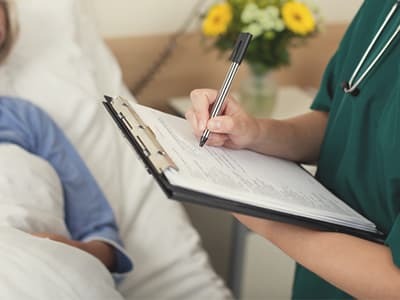 Partial hospitalization programs where individuals spend a significant portion of their day in treatment at a clinic or hospital and return to their homes in the evening. The withdrawal management process includes the administration of medications that can significantly reduce withdrawal symptoms and, in some cases, eliminate them. A number of these drugs, such as benzodiazepines and opioid replacement medications, are administered on a tapering schedule where the person receives decreasing doses of the drug at specified intervals so that he or she can slowly adjust to decreasing levels of the drug in his or her system. Benzodiazepines for withdrawal from alcohol and other benzodiazepines. Opioid replacement medications, such as Suboxone and methadone, for withdrawal from opioid drugs such as heroin, morphine, Vicodin, and OxyContin. Medications to reduce cravings, such as naltrexone. Medications to address specific withdrawal symptoms and other symptoms associated with co-occurring psychological disorders or medical issues. People attempting to withdraw from these drugs should first consult a physician and/or a licensed mental health care professional before ending their use of the drug.
. Heit, H. A. (2003). Addiction, physical dependence, and tolerance: Precise definitions to help clinicians evaluate and treat chronic pain patients. Journal of Pain & Palliative Care Pharmacotherapy 17(1), 15-29.
. National Institute on Drug Abuse. (2012). Is there a difference between physical dependence and addiction?